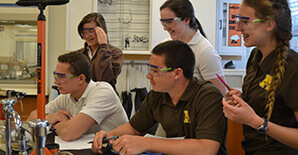 Learn why Alter High School is the best investment for an excellent private education in a Christ centered environment. Let us show you how, at Alter, we educate the whole student – spirit, mind and body. We are a co-educational, comprehensive Catholic school that is committed to challenging students to reach their full potential by providing academic excellence in a Christ-centered environment. 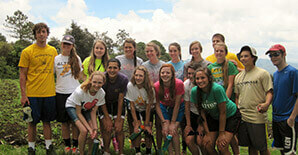 Experience for yourself what it is like to be part of a community where you are known and where you belong. 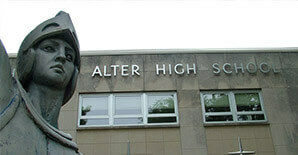 Applying to Alter High School requires a few simple steps. View the application checklist and apply with a few clicks. 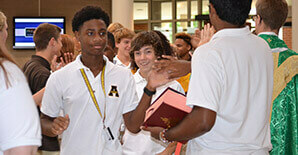 This highly interactive college preparation center is a benefit for every Alter High School student. Alter’s comprehensive curriculum offers more than 120 courses across 13 departments at the college preparatory, as well as Honors Level. Alter's Fine Arts Department and Conservatory for the Arts are dedicated to the finest teaching of performance, pedagogy and academic core standards in music, dance, theater and the visual arts. The footprint of Alter is changing for the first time in 50 years! We broke ground on the new Arts Wing the spring of 2017. 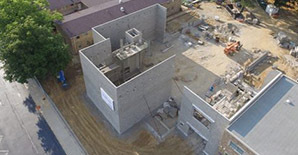 Please help with a gift to complete 100% funding of the new building. These are exciting times, especially for Alter athletics! The teams have continued our tradition of excellence! 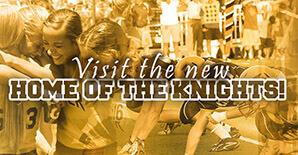 Visit the new Home of the Knights! All events are real time. Please be patient with us, as we continue to add valuable resources to this website. From Liturgy and prayer, retreats to service and community-building events, our purpose is nurture, support and affirm the faith in each individual person in our community. Retreats are a time to reflect, pray, connect, grow, take stock of where we are going and renew ourselves. 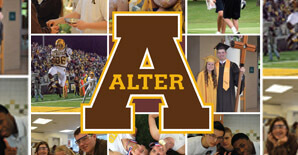 Alter High School is pleased to offer a secure, convenient means of making a gift to the school through our website. 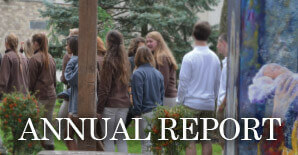 The Annual Report recognizes those that gave to the Annual Fund, made restricted gifts, memorial gifts, and matching gifts from their employer. Are you ready to learn and grow in a place where you can be your authentic self? If your answer is, “yes,” then Alter High School is just that place— a connected community where emerging young adults can truly belong. 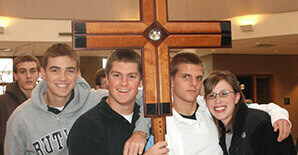 We believe that whole student education, lead by the Holy Spirit and in the Catholic tradition is the best education. What does that mean? It means we uniquely combine rigorous academics, robust clubs and activities, champion athletics, and formal training in the Arts with personal faith development to help each student discover themselves at their best. 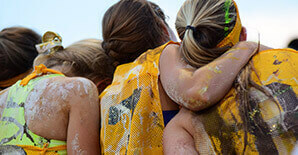 You’ll develop as a person and as a student and learn what it means to be a part of our community and God’s community. At Alter, we are committed to helping you reach your fullest potential. Teachers, staff, coaches and alumni help you learn what it means live in faith; to be a servant and a leader; to find your purpose and your passion; to be prepared for what lies ahead. In the spirit of Christ, we welcome you and all you have to offer. Whether you’re an athlete, an artist, a tech enthusiast, or are still finding your way, you have a home at Alter where you are known and where you belong. Come see for yourself what makes Alter a connected community where emerging young adults can learn, grow and truly belong. Access the Contributor Hub-page to gain access to many useful links, forms and information!